The 2018 Chrysler Pacifica, which is manufactured in Canada, has been honored by the Automobile Journalists Association of Canada (AJAC) as the Best Minivan. The award was announced at the Canadian Car and Canadian Utility Vehicle of the Year annual gathering. “The Pacifica is the most awarded minivan of the past two years, and this uniquely Canadian accolade, measured against all of its segment rivals, further proves that Pacifica delivers class-above quality, safety and functionality for families,” said Reid Bigland, President and CEO, FCA Canada. Instead of concentrating on only vehicles new to the market, the AJAC voted on returning popular models as well as new models for 2018. A total of 182 vehicles were in the running for the AJAC awards, and approximately 3,000 votes were completed. 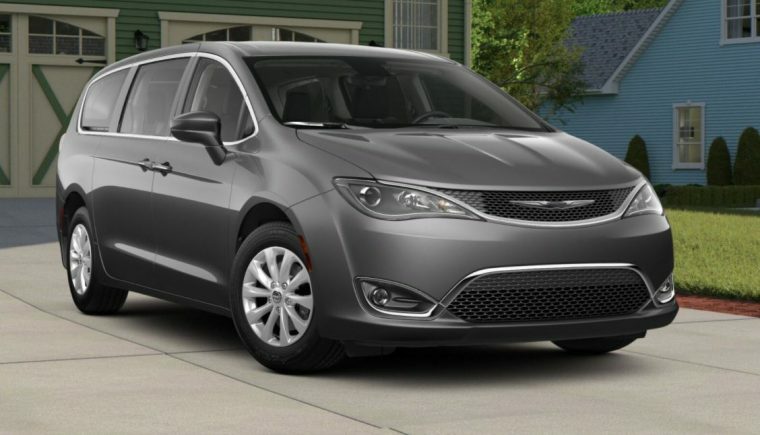 “Chrysler Pacifica overcame eight rivals to earn the Best Minivan crown. This is the second year in a row the Windsor, Ontario-made vehicle has won its AJAC category after being named Best New Large Utility in 2017. This was the first year the segment-exclusive Chrysler Pacifica Hybrid was eligible to compete,” reports FCA. In the past two years, the Chrysler Pacifica has become the most awarded minivan. The 2018 Chrysler Pacifica is available at six trim levels: L, LX, Touring Plus, Touring L, Touring L Plus, and Limited. The L trim is equipped with a 3.6-liter V6 24-valve VVT engine and the LX, Touring Plus, Touring L, Touring L Plus, and Limited are powered by a 3.6-liter V6 24-valve VVT with ESS; each trim features a nine-speed automatic transmission. The Pacifica’s powertrain generates 287 horsepower and 262 lb-ft of torque and earns an EPA-estimated fuel efficiency rating of 19 mpg in the city, 28 mpg on the highway, and 22 mpg combined.